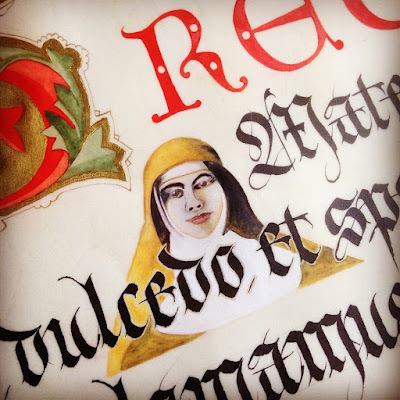 I am often asked privately if I can give my advice on someone's calligraphy. For many many years I have been extremely flexible in my mentoring, giving a good deal of my time and advice freely through constructive critiques and happily so, so far. The time has come I am no longer in a position to mentor without charging a small fee. I request a few sheets of work via a short list of text by prior discussion. I give it a thorough critique and send it back with suggestions, ideas and direction. You can have a one off, two, or several sessions. I do not accept scans so you have to mail me the hard copy of your work and I mail it back to you. It's worth it. If you want a job done, it is to be done properly. Most of the scanned work I have received over the past few years has been substandard and I do not get a real sense for the quality of the work and hence I can't give you the best direction that I would prefer. With the hard copy I can relish in the sumptuous texts you have produced, then get on with the critique! If you are interested I will send you the Mentoring Program specifications which includes the hands I am able to mentor in, the fee structure, the tin-tacks of how it works and we can take it from there. Please email me and if you can pass this information on to your group, society or club I would appreciate your help in spreading the word. 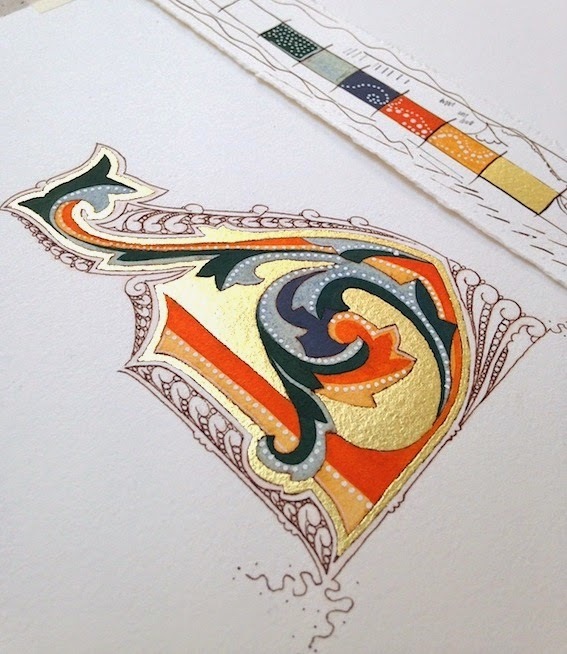 Here is an image of a small part of an enormous vellum commission I am working on, perhaps it will whet your appetite. I am just about to go in and add all the detail and highlights but all the drawings have been completed. It will not be given to the recipient until the middle of February so you will have to wait until then to see more of it. Latin for today's exercise: Quid pro quo! whats the latin for 'oooo you little temptress you!' ??? ?